“Hope from real people”. That was one of the searches that led someone to my blog. What makes us real? 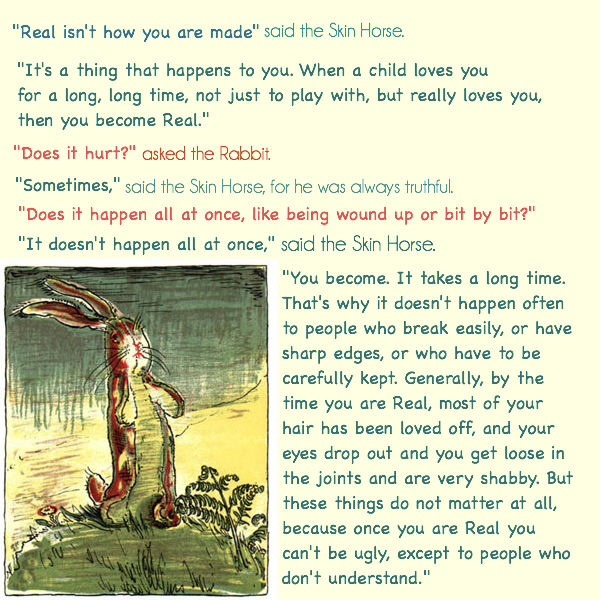 I remember the Velveteen Rabbit. Is it the “crap” we have been through? Do trials and tribulations make us real? The fact that we are still here and among the land of the living – that is a testimony in itself isn’t it? Seriously. I know there is a God, because I am still among the land of the living! Though a host encamp against me, my heart shall not fear; though war arise against me, [even then] in this will I be confident. Hear, O Lord, when I cry aloud; have mercy and be gracious to me and answer me! Hide not Your face from me; turn not Your servant away in anger, You Who have been my help! Cast me not off, neither forsake me, O God of my salvation! Although my father and my mother have forsaken me, yet the Lord will take me up [adopt me as His child]. Give me not up to the will of my adversaries, for false witnesses have risen up against me; they breathe out cruelty and violence. [What, what would have become of me] had I not believed that I would see the Lord’s goodness in the land of the living! We put down our “masks”. We want to be “real” with You and with our brothers and sisters. Enough of the charades. Enough of the play. We all have good things and bad things about us. But with Your love and strength we have made it. Our tears make us REAL! Let us love each other with grace and mercy and help each other along this journey called life, in Jesus Name. 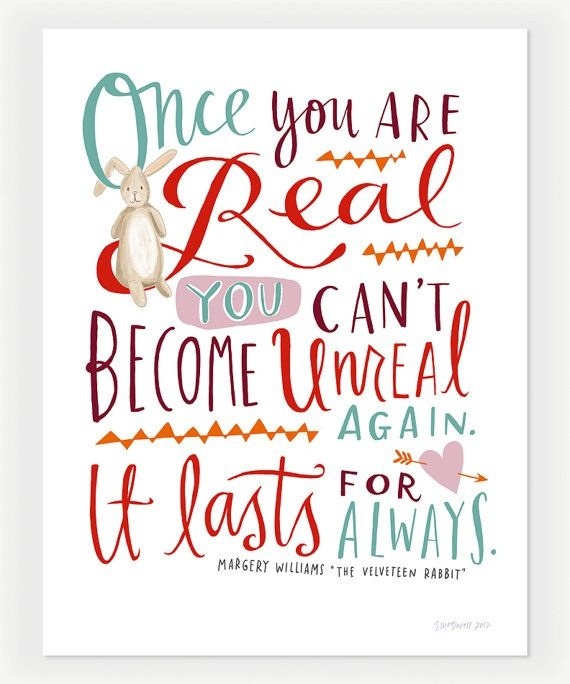 Posted in Healing, Spirituality and tagged God, healing, Hope, Inspiration, Life, Love, psalm 27, real, real life, reality, Religion and Spirituality, Spirituality, tears, Velveteen Rabbit. Bookmark the permalink.